While ELAC has quickly become one of the hottest names in audio over the past few years, they’ve actually been around for quite a long time. Believe it or not, they were actually founded in Germany back in 1926, making them over 90 years old! If you’re old enough, you might even remember seeing ELAC turntables back in the 1960’s and 70’s. They started with these turntables and eventually evolved into manufacturing speakers and electronics as well. Their manufacturing plants are top-notch and have an ISO 9001 certification which means they have consistently demonstrated the ability to provide products that meet customer end regulatory requirements. 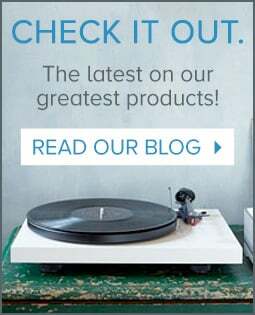 ELAC has always loved pushing the limits, often releasing products that are cutting edge or that have unique features for their category. For example, in 1993, they introduced a new type of speaker driver known as the JET folded ribbon tweeter. While this was revolutionary at the time, we see a variation of this design in many popular speakers today. 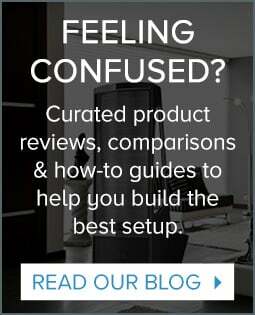 Today’s review will focus on ELAC’s new integrated amplifier, the ELAC EA101EQ-G. At first glance, the EA101 looks like a typical small integrated amp -- not uncommon these days, as we’ve seen a huge resurgence over the last few years of people wanting better quality audio systems utilizing smaller and simpler form factors. This category has a lot of choices and is very competitive, so if you didn’t dig into the EA101, you might not realize just how much it has going for it. Like many new amps, the ELAC EA101EQ-G is smaller than the standard 17” wide audio component. It is a little over 8” wide and around 12” deep, so it can fit in many places a full-sized audio component might not. The front panel is simple, yet sleek, featuring a curved, brushed aluminum front plate, a large volume control knob, a headphone jack, and two capacitive buttons -- one for power and one to change the source. There is also a small blue LED display between the power and source buttons to give you feedback on volume or source. The rear panel features the same curved aluminum plate and sports some nice banana plug speaker connections. We were also very impressed to see ELAC includes heavy-duty banana plugs to attach to your speaker wires in the box. The back also has a subwoofer out, 2 analog inputs, 2 optical digital inputs, and 1 coax digital input. You also have the ability to connect via Bluetooth aptX. Finally, the EA101EQ-G has a USB input capable of handling up to 192k 24 bit signals. The sides of the EA101 has large vents to keep the unit cool, and the top is recessed, with a rubber-like, textured material. Overall, the EA101 is nice and actually pretty unique-looking in a category where it would have been easy to just make a simple box. The build quality is good for the money, but while some brands carve out a niche by over delivering on build-quality (think Cambridge, for example), the EA101 is a great value more for its advanced feature set. ELAC describes the EA101EQ-G as an 80 watt per channel integrated amp with DSP. While this is a true statement, it simply doesn’t do justice to what this little jewel is capable of! First, the amplifier section utilized a new type of design, known as BASH. It uses a digital-type switching power supply mated to a conventional Class AB amp section. The switching happens over 400,000 times per second, giving it a very smooth sound that reminds us more of an analog amp. At Audio Advice, we like seeing an amp that can double down on its power into a 4-ohm load over an 8-ohm load. Our best amps double down again into a 2-ohm load. The EA101EQ-G is rated at 40 watts per channel into an 8-ohm load and 80 watts per channel into a 4-ohm load, passing our test! We do have to point out, like a lot of products these days, the spec is at 1,000 kHz and not the full audio bandwidth, so we suspect it is actually more like a 25 watt per channel amp that can double down to 50 across the full audio spectrum. The amp is also capable of producing large amounts of instantaneous power output, which we will discuss deeper in a moment. To take full advantage of some of the advanced features the EA101EQ-G has to offer, you will want to download the mobile app -- they have both iOs and Android versions available. Of course, you can control basic functionality from the app, including switching inputs and adjusting the volume, but that is just the tip of the iceberg. You can also rename each input and give them each their own volume offset. Let’s say your CD player is a lot louder than the phono stage you have plugged into it. With input offset, you can adjust each one so that everything is level. Speaking of inputs, the digital inputs have Dolby Digital decoding built in. You can connect up the Toslink out of your TV into the EA101EQ-G, which will greatly improve the audio on your TV. But the convenience does not stop there. Using ELACs mobile app, you can also teach the EA amplifier to respond to your favorite IR remote control. It’s simple and allows you to streamline the control of your whole system. While all of these are great little features, we’ve saved the best for last. If you regularly read our blogs and reviews, you probably know that we are big fans of well-done room correction technology. Anyone who has moved their favorite pair of speakers from one room to another has experienced what a huge impact the room itself has on the sound. Early systems to attempt to correct for room issues caused more problems than they fixed, but in the last few years, as computer processing power has gotten better, so has room EQ. As you’ve probably realized by this point, the EA101EQ-G has room equalization built-in. You’ll need to have the app running, but you essentially place your phone in front of your main speaker and tell it to start. You’ll hear some tones. You then move to the primary listening spot and run it again. What is really unique and interesting about this approach is that it is simply comparing the differences between the two tones and correcting the seating position tone to sound as close as it can to being right in front of the speaker. In addition, the EA101EQ-G also has subwoofer blending. 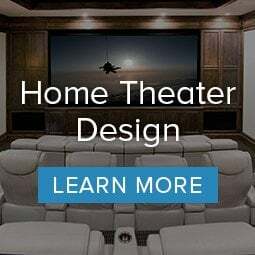 To put this into perspective, the only other product that we carry at Audio Advice that has this features is a $6,000+ JBL Synthesis Arcos EQ system, design to go into a super high-performance home theater. The sub-blending works similarly to the normal EQ, but takes a lot longer to run. Since subwoofers are not usually placed directly next to small speakers, the main challenge is minimizing the delay so that the sounds from both the speakers and subwoofer reach you at the same time. Value is ELACs MO, and they’ve done it again with the EA101EQ-G. The fact that they’re able to produce an integrated amplifier with this many features for under $700 is simply stunning. To test this integrated amplifier, we decided to put it in a setup that we think would be a typical use case. We paired it with a Rega Apollo-R CD player, a pair of MartinLogan Motion 35XT bookshelf speakers, and a MartinLogan Dynamo 1000W subwoofer. We started by trying to drive the bookshelf speakers full-range, without performing any EQ. The team here at Audio Advice is packed with tinkerers and music lovers, so when we’re testing, it’s always a revolving door -- especially when the gear sounds good. Two different team members walked in, asking what was driving the Logan’s because they sounded great! We had fun listening to a variety of CDs and found the sound to be super smooth, rich, full, and dynamic. The rhythm and pacing were dead on, helped out a little by how good the Rega CD player is. After around 30 minutes of listening, we ran the room EQ, just on the main speakers (not the sub). The EA101EQ-G app allows you to toggle the room EQ on and off to compare, and we must say, this system works really well. The bass is much more defined, which in turn improves the midrange detail. You just get more from the music. We never once heard a negative effect or some of the phase issues we’ve noticed in other room EQ systems. The next step was to run the subwoofer blending. From the app, you can actually fine tune the output of the sub, allowing you to adjust things precisely for your listening spot. Once we had everything just right, we turned it back on and were blown away by the system. It was just stunning. The sub blend took all of the bass away from the main speakers and fed them to the sub, opening the MartinLogans up completely to handle the midrange. This also takes the deep bass away from the amp section, which again helps out with the midrange, treble, and those fine microdynamics that get you involved in the music. We then got a bit geeky and decided to test the digital out of the Rega CD player into the ELAC amp compared to the analog out of the CD player itself. Using the input offset we were able to get the volumes the same. While the DAC in the ELAC is no slouch, we prefer the analog out of the Rega. Of course, this is an $1,100 CD player, so you would expect it to have better DACs. We then tried using Bluetooth with our Pixel 2 and Tidal. This was quite revealing. We had put together such a great system that let a lot of music come through. We could quickly tell that the sound of Bluetooth was nowhere near as good as what we were getting out of the CD player, so we just switched back, played some more CD’s, and enjoyed the music, amazed at how great this little rig sounded! We can think of several ways to use the EA101EQ-G. First, it’s a great option if you’re looking for something to drive a small pair of bookshelf speakers. 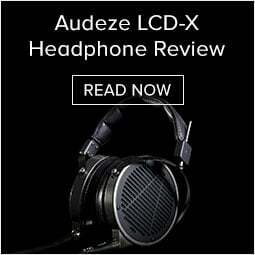 Add a sub for even better sound. If your TV is in the same room, connect it up through digital out, teach the TV remote the ELAC codes and you’ll greatly improve your TV audio. Another common use we could see is simply to put it on your desktop to run a pair of speakers as well as having the option to use the headphone jack for private listening. If you’re looking for an integrated amplifier, we would advise that you not judge a book by its cover. This little amp may be inexpensive, but like most of the products coming from ELAC these days, the EA Series Integrated Amplifier drastically outperforms expectations for the cost. We are amazed at how well the Room EQ and Sub Blending works on the EA101EQ-G. The fact that you get this in a product that is only $698 is just astounding. ELAC’s BASH technology results in an amp that can drive most speakers with ease, yet it has a very sweet, smooth and rich sound. ELAC’s app is easy to use and lets you do all kinds of things to customize the amp to your needs. We never got lost and loved the simpler to understand interface.